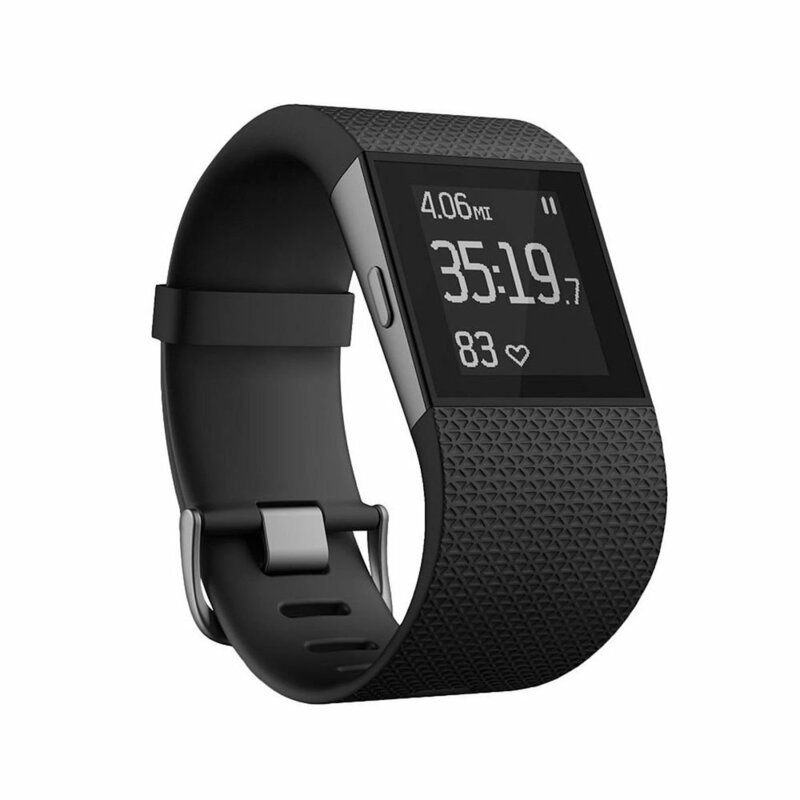 Train smarter with the Fitbit Surge GPS Watch + HR Monitor. This super-watch has built-in GPS tracking so that you can view distance, pace, and elevation climbed, and review routes and split times. The PurePulse heart rate monitor offers you continuous, automatic, wrist-based heart rate and simplified heart rate zones that sync wirelessly to your smartphone. No matter your discipline, this watch records running, cycling, cross-training and cardio, delivering detailed workout summaries with tailored metrics, intensity levels, and calories burned. Beef up your rest patterns with the sleep monitor that shows how long and how well you sleep, in addition to wakes you up gently with a silent alarm in an effort to not disturb whoever might be in bed with you. For those extra busy days when you do not have time for exercising (or anything, actually), the display shows call and text notifications and lets you keep an eye on songs from your mobile playlist at the same time as on the go.